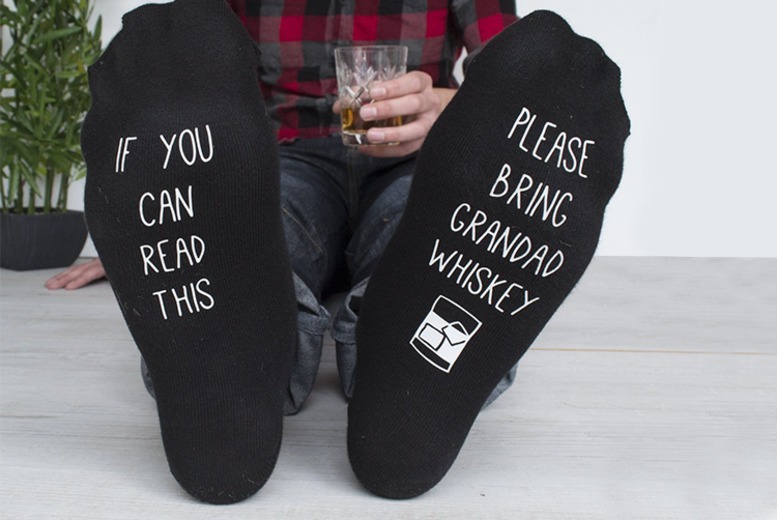 Grab a pair of fun-filled ‘bring me whiskey’ socks! Personalise the socks with a name. Fits UK women’s sizes 4-7 and men’s sizes 7-11 Colour: black. Made with 55% cotton, 43% polyester and 2% elastane lycra. An original, funny and thoughtful gift for this Christmas!